BeenThere-DoneThat: The area around Fleet Street, London. 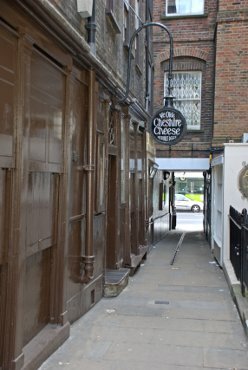 Ye Olde Cheshire Cheese is actually on Fleet Street but the entrance is down a little passage called Wine Office Court, shown here, and this view is looking out into Fleet Street with the pub entrance behind the camera. There has been a pub at this location since 1538 although this one was rebuilt after the Great Fire in 1666. While there are several older pubs which have survived, because they were outside the area affected by the fire or because they were made of stone, this pub continues to attract interest. Follow Clifford's Inn Passage off Fleet Street and you will soon reach Clifford's Inn Gateway. 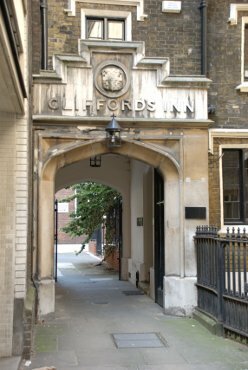 Founded in 1344 Clifford's Inn was one of the Inns of Chancery. It was dissolved in 1903 and demolished in 1934 leaving just the gateway seen here. 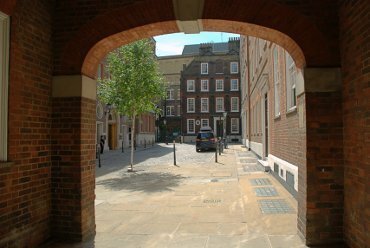 It is believed that the Inns of Chancery evolved in tandem with the Inns of Court and Clifford's Inn was both the first Inn of Chancery founded and the last to be demolished. This is one of the few undeveloped parts remaining in this area between Fleet Street and Holborn and gives a good impression of what the area must have looked like. 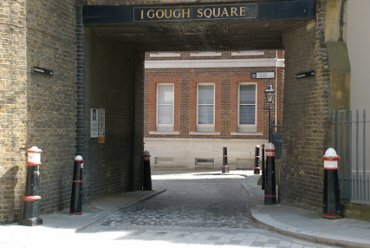 This street, one of the entrances to Gough Square, shows how narrow the local streets would have been. Doctor Samuel Johnson has been described as "arguably the most distinguished man of letters in English history" and is mostly known for Johnson's Dictionary of the English Language which was published in 1755 after nine years of work. 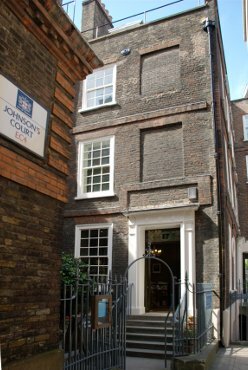 Built in 1700 Dr Johnson's House, in Gough Square north of Fleet Street, is one of the few residential houses of its age still surviving in the City of London and is open to the public except on Sundays.